Facial masks can soothe, refresh and brighten skin. Though you can buy commercial mask formulations, you also can make a homemade mask from ingredients in your kitchen. 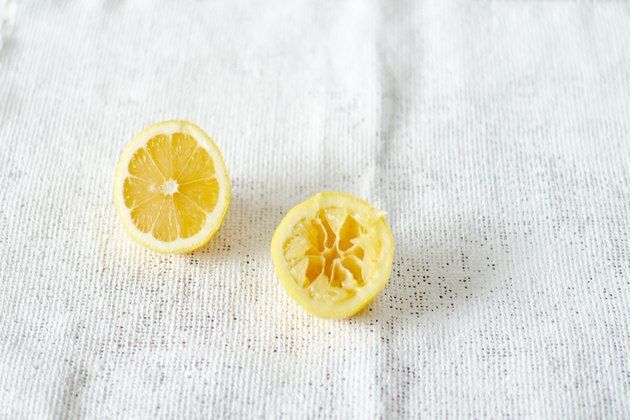 The acidic qualities of tomato and lemon help balance oily skin, according to "Modern Esthetics: A Scientific Source for Estheticians." Oatmeal gently exfoliates, soothes and softens skin. Make this mask as part of a home facial. 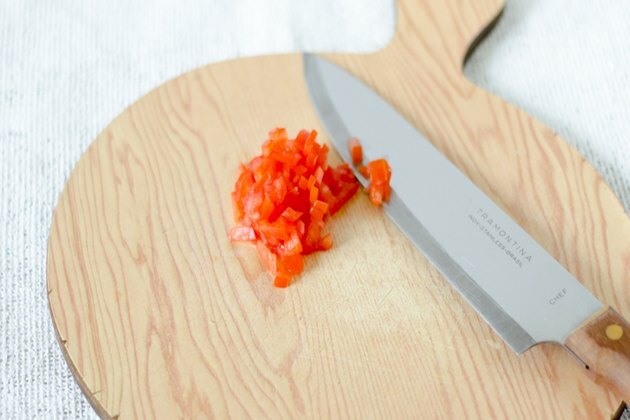 Finely dice the tomato, using the knife and cutting board. Transfer the diced tomato to a bowl. Cut the lemon in half and squeeze the juice into the bowl with the chopped tomato. Measure 2 tablespoons of oats into the blender. Blend until the oatmeal is reduced to a fine powder. 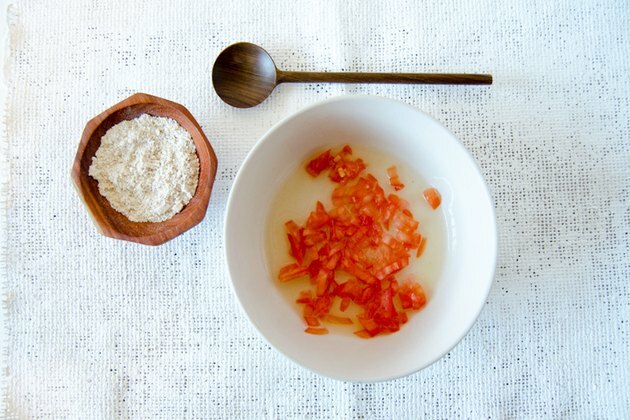 Stir the oatmeal powder into the tomato and lemon juice mixture. Mix well. 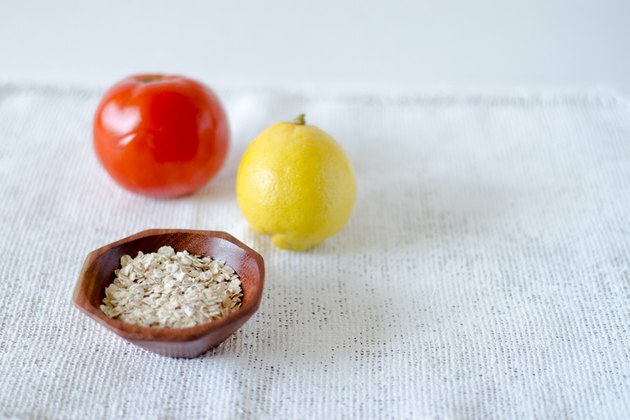 Smooth the tomato, lemon and oat mixture onto a clean face. Avoid getting the mixture into your eyes. Lie back and relax and allow the mask to dry, 15 to 20 minutes. Rinse off the facial mask with warm water. Pat your face dry with the towel. 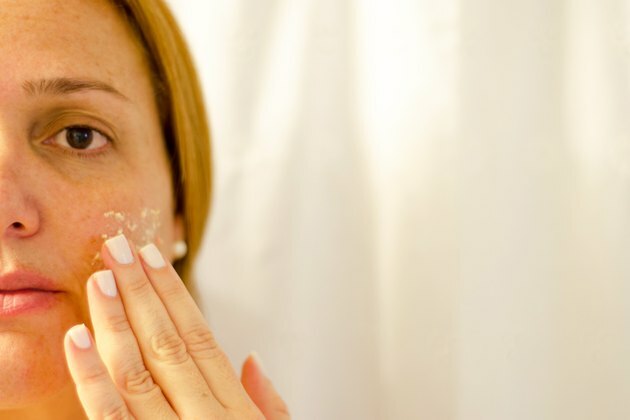 Test the mixture on a small area of skin before you use it on your face to make sure you aren't allergic to it. Don't save leftover facial mask; it doesn't keep well.